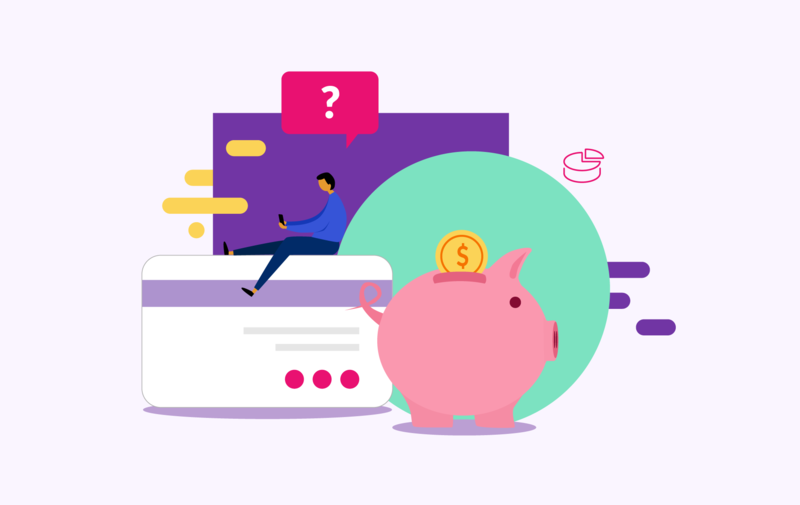 If you have credit card debt, a personal loan or an overdraft then you might wonder whether it’s worth saving any cash. After all, the amount of interest you’ll earn on your savings will almost certainly be less than the amount of interest you’re paying on any debt, even if you have a great credit score and are on a competitive rate. So you might think it makes more sense to use any spare cash to pay down debt rather than build up savings. Yet that’s not as straightforward as it seems. Yes, paying down debt will save you some of the money you’ll pay in interest – although you need to factor in any fees. It will also help give you financial security. But before you start making overpayments, it’s worth considering whether saving up an emergency fund might give you even greater security than clearing debt early. Worryingly, a lot of people don’t have any money saved at all. Research from Skipton Building Society found that a quarter of British adults have no savings at all. And it’s worse for younger people. Official data from the Office for National Statistics have shown that more than half (53%) of 22 to 29-year-olds have no savings. So anything you can set aside to help with an emergency is a good idea. It can even help you stay out of short-term, pricier debt like overdrafts and credit cards if you suddenly need to pay a big bill. After all, you never know when you might need a new boiler or will have pay your insurance excess because you managed to crash into a parked car while trying to park next to it (that cannot just be me, right?). Should I concentrate on paying off debt? For most people it’s okay to have some debt alongside savings if their debt is under control. So, if you’re keeping up with your mortgage and meeting your other debt repayments comfortably, without getting further into the red then it’s probably okay to start building a savings buffer alongside. But it’s a personal choice, so you need to look at the interest rates you’re paying and decide whether clearing some of the pricier debts you’re carrying should be the priority. Conventional wisdom is that a good emergency fund will contain three to six month’s-worth of salary, allowing you to survive any serious emergencies like redundancy or sickness. That’s a heroic goal and it’s one we should all definitely aspire to. But it may not feel achievable for everyone. Even if you’re not in a position to save thousands of pounds, a smaller buffer could make a big difference. If you’re not really used to saving then don’t worry, there is a lot of help available. You might like to use some of the new fintech apps that analyse your spending and whisk small affordable amounts of cash into your savings pot throughout the month. There are other banking apps that round up your spending and move the extra into savings. Say, for example, you spend £1.88 on a coffee, it automatically moves 12p into your bank. Over all your daily spending that could really add up. Probably the best way to start a savings habit is to draw up a budget. If you understand where your money is going each month then you’ll have much better control of what you spend and you’ll know how much you can afford to move into savings each month. There’s a good guide to beginning to budget available on the FriendlyScore blog.